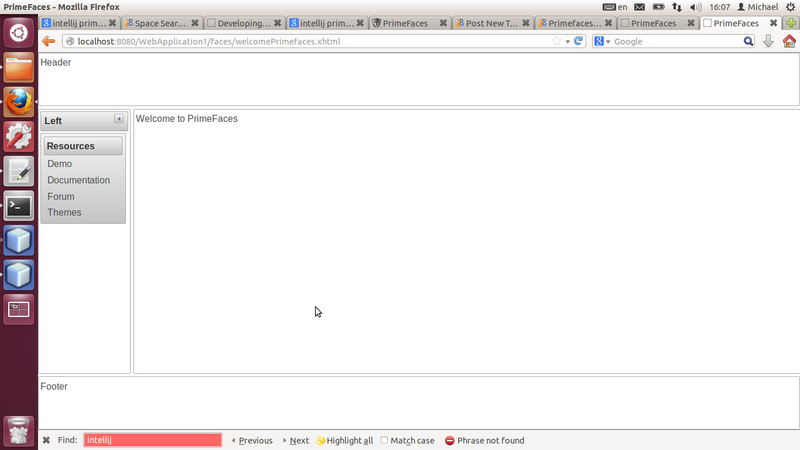 the standard "Welcome to Primefaces" north/south/west page does not render in index.xhtml (belowe, see attached). 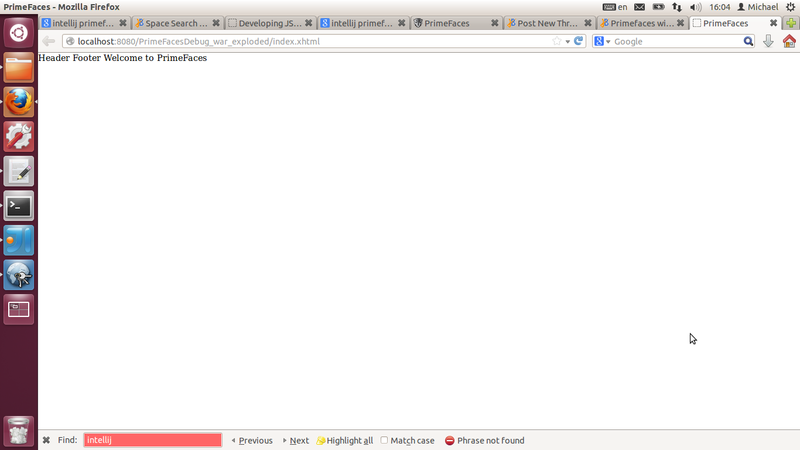 The "JSF Support" plugin is enabled. It's not an IJ question but jsf question, doesn't it?